How to promote a high-tech feature through a dated medium? 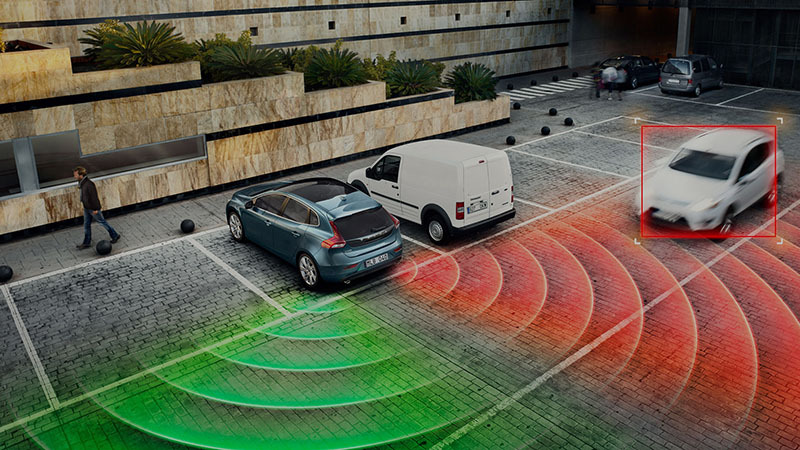 The Volvo V40 comes standard with City Safety, an automatic braking system. Volvo wanted to promote their V40 and highlight its special feature in an outdoor campaign. We took an outdoor mobile poster and equipped it with an automatic braking system. Introducing: the Volvo Automatic Braking Billboard. A mobile poster, that brakes automatically when the V40 is about to hit the edge. What appeared to be a normal poster for the Volvo V40, has one special feature. When the poster starts moving and the car is about to hit the edge, it brakes automatically. After a couple of seconds it rolls back to its original position. 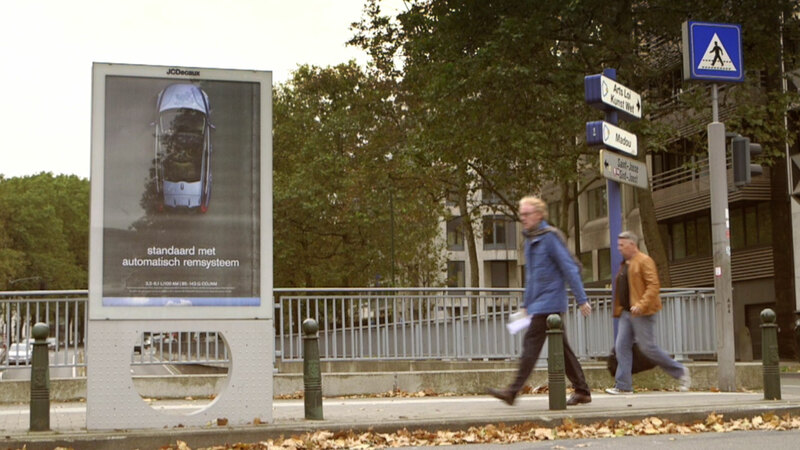 This way, our Automatic Braking Billboards were real eye-stoppers in the busy city center of Brussels.